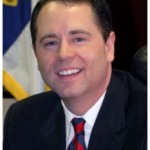 UPDATE, 2:20 p.m.: Dana Cope resigned Tuesday afternoon from his position with SEANC, saying he had “blurred the lines between my personal life and my professional life,” according to WRAL. For those who may have missed it, the News & Observer published an investigation this weekend detailing some questionable spending that’s gone at the State Employee Association of North Carolina under executive director, Dana Cope. The former treasurer of the employee association group, a N.C. Department of Health and Human Services Medicaid analyst, brought her concerns to the newspaper about several purchases at the association. Those purchases included over $100,000 paid to a landscaping firm also doing work at Cope’s personal residence and flying lessons the association paid for Cope to take. SEANC’s own files suggest otherwise. A memo justified the check as computer work done by the D.C. company with a name very similar to the local landscaping company. The owner of the computer company said he closed the firm in 2003 and never worked in North Carolina. Cope and SEANC’s general counsel admit the memo is phony but will not explain beyond saying it’s a personnel matter. There was irrigation work done at the SEANC building four months later. But that work cost $685.25 and was done by a long-established company in Garner, records show. Since last March, Cope has directed SEANC to write checks totaling $109,078.50 to Perspective Landscape Concepts, the company also working on projects at Cope’s Raleigh home, or to its owner, Perry Pope. You can read the original investigation here. The group’s executive committee is standing by Cope, and issued a statement saying that it had looked into the purchases Neff referred to and found everything above board. “Our final statement on this matter is that SEANC has gone through the appropriate processes put in place by its governing body to investigate these claims, and after a thorough review of the allegations brought forward in documents supplied by Mr. Neff, as well as all the facts as documented in its financial records and knowledge of its officers and staff, has found no misappropriation of funds and no improprieties by Mr. Cope,” the executive committee wrote in a statement on SEANC’s website. Yesterday, the Wake County District Attorney Lorrin Freeman told the N&O she requested an inquiry by the State Bureau of Investigation to see if the allegations amounted to criminal wrongdoing. It’s worth noting that SEANC backed one of Freeman’s opponents in last year’s primary, after Freeman, a Democrat, questioned whether an electronics purchasing program touted by the employee association was predatory. Feel free to share any thoughts or observations below. Maybe Laroque can get a breather now as you beat up on this guy for awhile ! The recent statements by the SEANC Executive Committee in light of the evidence against Mr. Cope are irresponsible and a complete failure of leadership. It also raises legitimate questions about their ability to competently lead our organization. The appropriate course of action would have been to place Mr. Cope on administrative leave pending the outcome of an independent investigation. The next step should have been to hire an out-of-state forensic accountant to thoroughly audit the books and based on those findings make statements relative to this situation. Instead, we members got unsubstantiated proclamations that wreaked of nothing more than cronyism. The membership has a great opportunity. It is my hope We will demand what is appropriate of our leadership!!!! !